sets the candidate and third party election disclosure donation threshold at $500 to align with a councillor's register of interest gift disclosures threshold. Your Community First is under attack by some of the current councillors in a number of divisions ..signs are going missing @ the rate of 10 per day. Your Community First is offer a $500 reward to anyone with information that leads to a conviction for removing signs belonging to Your Community First candidates. Mis-information is been put out there to confuse the voters. Council rangers ( with help from the current councillors ) have been targeting Your Community First Candidates mobile & static signage. The current councillors would not have resort to these tactics if they had done their job in the last 4 years,looking after the ratepayers . Current councillors wages should stop when the council goes into shut down mode. They are still using their cars / mobile phones/ & offices. Councillors have been placing signs on public land. A list will be given to the rangers shortly. STOP PRESS.. A VEHICLE REGISTRATION HAS BEEN RECEIVED by THE YCF PRESIDENT & HAS NOW BEEN PASSED ON THE POLICE. Mr Hansen said he was "driven by principles, not politics" and emphasised his grassroots-level campaigning. The presence of a number of Your Community First volunteers on the night seemed evidence of this. When asked about Unitywater, Mr Hansen said he wanted several operational matters to change, including having a councillor on the board. "I want to be that councillor on that board," he said. "If it was owned by us, we'd be telling them what to do," Cr Houghton said. 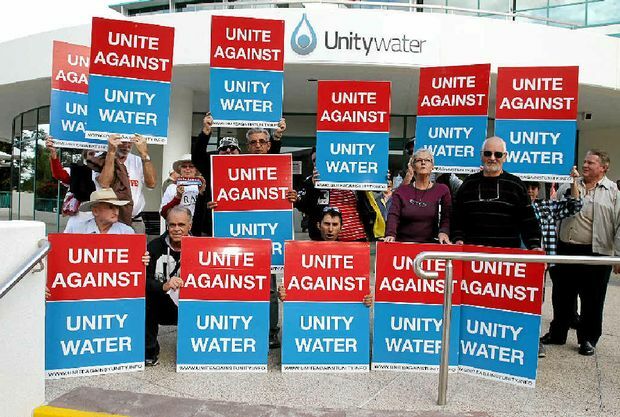 "Of the total issued participation rights for Unitywater, Moreton Bay Regional Council has 58.24%, Sunshine Coast has 37.51% and Noosa has 4.25%." "Do people really care about de-amalgamation? Do they really care about Unitywater? I don't think so. "Unitywater announced a 3.5% increase as of 1 July 2014. This is one of the smallest increases across water and sewerage service providers in SEQ," she said. A spokesman for Moreton Bay Regional Council said the three participating councils, including Noosa, Sunshine Coast and Moreton Bay, were jointly responsible for appointing board members. The spokesman said there were no available positions on the Unitywater board. Your Community First team in the upcoming MBRC elections. McKay. It was released on the 30th January, not the 31st. meet the people throughout the MBRC region. Can someone please show me where in Geoff's video he said this please? used for this purpose at minimal cost. in half and make Caboolture the new regional centre"
This is also in the State government plan for our region. James, perhaps you would like to enlighten us on your "qualifications"
when you first took office in council. who managed to stop the buses running through narrow Scarborough streets. way to having these concerns heard. retain any semblance of credibility here. "faceless men controlling Your Community First and their candidates"
How short our Mayor's memory must be. address the issue of the cost of water across the region. REDCLIFFE MP Scott Driscoll helped get Allan Sutherland re-elected as mayor, co-ordinating a controversial "push polling" campaign costing thousands of dollars. 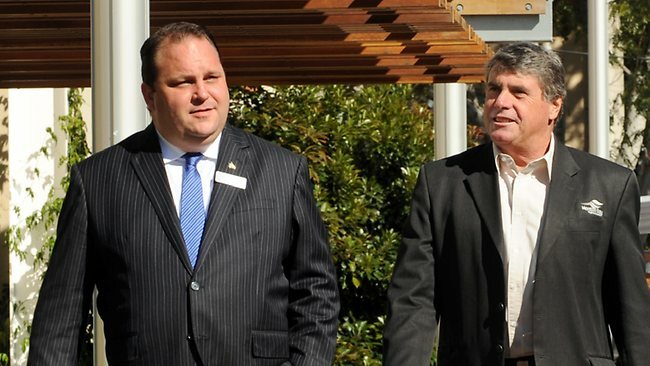 The Moreton Bay Regional Council Mayor and Mr Driscoll, both of whom are now in political hot water, teamed up ahead of last year's council election. Mr Driscoll played a key role in Cr Sutherland's election campaign strategy, with his family company Norsefire benefiting financially. Documents obtained by The Courier-Mail reveal Mr Driscoll organised the telephone survey, during which residents in the region were targeted with negative messages about the Mayor's opponent, Chris Whiting. The Courier-Mail revealed yesterday that Cr Sutherland conspired with David Trask, a financial backer, to set up Mr Whiting by planting a $1000 donation in his election campaign fund, which later led to a Crime and Misconduct Commission complaint when it was not disclosed on time. But The Courier-Mail has also established that other tactics were used by Cr Sutherland, with Mr Driscoll playing a central role - even as he himself was running for the state seat of Redcliffe for the LNP. Mr Driscoll oversaw the survey, with his staff member and campaign director Ben Scott providing the analysis of the results to Cr Sutherland. Documents show Cr Sutherland paid $10,000 towards polling and other campaign work organised by Mr Driscoll, and he was billed for a further $22,500. Candidates in local government elections are not required to provide details of campaign expenditure to the Electoral Commission Queensland. Push polls are used by politicians to influence voters through the use of loaded questions. They are not illegal. A script for the push polling, obtained by The Courier-Mail, reveals the telephone survey asked local residents a series of questions weighted towards exposing the Labor Party membership of Mr Whiting. Almost 50 per cent of residents polled answered that they would be less likely to vote for Mr Whiting when told his campaign was "Labor-backed and union funded", according to the results seen by The Courier-Mail. Cr Sutherland last night issued a statement saying his campaign committee "had been approached by a company called 3W operated by Bruce Mills, an associate of Scott Driscoll, to conduct polling" but the committee "at no time authorised push polling". The Mayor said Mr Driscoll "had no involvement in campaign activities". But evidence obtained by The Courier-Mail shows Mr Driscoll was intimately involved in organising the polling and helping other aspects of Cr Sutherland's campaign. In an audio recording heard by the paper, Cr Sutherland discusses a telephone survey to target parts of the electorate with "a few dirty bombs". On March 12 last year, Cr Sutherland also stepped in to defend Mr Driscoll when claims were made about his past, drafting a media statement slamming "Labor's secret campaign of lies and dirt". But an email exchange around the same time reveals Cr Sutherland becomes increasingly frustrated with delays in being provided the survey results. After a series of phone calls from Cr Sutherland, Mr Scott emailed Mr Driscoll to complain: "I don't have time for Allan at all. I'm trying to organise the state election scrutineers. If he needs a campaign manager he can hire one." Mr Driscoll last month resigned from the LNP ahead of a party expulsion hearing and is the subject of a CMC investigation over allegations of fraud and misconduct. Mr Driscoll did not respond to a request for comment yesterday. It has come to my attention that a Councillor has attacked the Your Community First group. RAG is a major supporter of this group, and wants to put our knowledge and perspective into the situation. It is disappointing to have a Councillor quote YCF Candidate Geoff Mackay (Division 10) as the source of the big spend on Offices. It was indeed Geoff Mckay that was on the video as stated, but the information provided by the current Councillor is false. Firstly, the date was wrong, it was indeed the 30 January 2016, not the 31st. But more importantly, if you wish to check yourselves, the video does not refer to any cost whatsoever, but it does talk about having Councillors much more accessible across the large region. The YCF believes in listening to the constituents, and has the intention of utilising existing Council owned premises for the offices, which would minimise any costs. Regarding the issue of splitting the region and making Caboolture the new regional capiltal - YCF has no such policy. Having said that major issues raised by the community will be considered.The identification of Caboolture as the Regional Capital is not the brainchild the YCF. It is so identified in State Government plans and in the MBRC Regional Plan which the council voted for in 2016.Further there is no mention of dividing the region in half.This statement by the division 5 councillor is misleading to say the least. Regarding false promises - YCF believes it can minimise the cost of water to the constituents by minimising the profit that Council makes - last year $26 million. The Councillor stated that it was not possible to change the water, as it is a state issue, but the Council is an owner of the business and reaps the profits. Former Minister for resources and water, Mark McArdle, stated in a public meeting of 500 people that the State did not own Unitywater. For further supporting information see page 38 of Unitywayters' annual report 2015. In terms of influencing the cost of water to the community, the Council itself has previously offered rebates, which has now ceased, but which could be re-instated. So changing the water cost to the community is possible. Also, since the issue of false promises was raised by the Councillor, it should be noted that this particular Councillor (along with the incumbant Mayor and Division 6 Councillor) last election made a promise to re-instigate kerbside collection, yet only 130 days after the election the issue was binned (excuse the pun) (Courier Mail, August 29 2012). Being a 'radical new political team'. While the cohesive team is happy to be seen as bringing fresh change and new ideas to the local political landscape, we doubt this was the intent of this statement. The second part of this statement relates to 'taking over the Council'. YCF only has 5 Candidates across the 12 total divisions, and no Mayoral Candidate. It is hard to envisage how the minority of numbers if all successful would 'take over' the Council. It could be seen as concerning that an incumbant felt as though a minority can run the Council. The next issue raised was related to candidates having no experience. As shown above in point 3 - experience does not make one impervious to imperfection - so why not give the new comers a go. YCF has 5 candidates - 3 of which are proven business people, and 2 of which have tertiary (university) degrees and a history of community service roles. The strengths of the individuals make them worthy candidates, but as a team they are focused on working with integrity for the community. All YCF candidates have passed a police check. Another concern (not to do with the above Councillor) is the issue of missing signs - particularly in Division 6. See the below transcript of what may be a targeted attack in Division 6, which we are disturbed by as our local community deserves much better in terms of people being free to nominate to represent it, without fear of repercussion. Over the past two weeks, I have had a number of signs disappear from various locations throughout the area. Of my total 100 signs, which were to be used at polling booths in addition to the legal limit of 60 signs allowed for street signage, I now only have 2 left due to the continual need of replacing missing signs. Both my partner’s car and my own car incurred flat tyres within the same week. When I took both tyres to be fixed, thinking how statistic...ally unlucky we had been to get two flat tyres in such a short period of time, I was shocked to be told the damage was deliberate. The mechanic described side wall penetrations that were not consistent with any normal puncture. He pointed to my campaign signage and said, “you have an enemy”. Then on Thursday whilst out campaigning in my vehicle I pulled over to make a phone call. Only to have a council ranger pull up behind me, exit her vehicle and inspect my car whilst making notes without attempting to engage me in conversation. I hope the above has added to your information pool to aid in an informed decision, regarding the upcoming election. If I didn’t know better I would think I was being targeted. At this stage I’m going to do the Christian thing and turn the other cheek, hoping for the best that all this was just co-incidence. It has taken less than 130 days for councillors to renege on their pre-election promise to reinstate kerbside collection in Redcliffe. Mayor Allan Sutherland and councillors James Houghton and Koliana Winchester each agreed before the April election it was a valuable service that would be considered in this year's budget if they were elected. But Cr Houghton said on Friday the service would cost $2 million to provide region-wide and would see council lose $900,000 of income every year from their trash and treasure markets at Dakabin and Caboolture tips. ``We chose to continue with free residential tipping instead,'' Cr Houghton said. Before the election the Redcliffe & Bayside Herald spoke to councillors James Houghton and Koliana Winchester about their promises to Divisions 5 and 6 should they be elected. Both promised to help solve the Redcliffe Tigers' flooding woes, help attract business to Redcliffe Seaside Village and extend the water rates subsidy to ease the effects of price rises. Cr Winchester said she wanted to see kerbside clean-up reinstated and more animal control officers employed in the region, while Cr Houghton said he wanted local enforcement teams strengthened. No extra animal control officers have been employed, but Cr Houghton said patrols had increased. Margate resident Aidan Caldwell said he would love kerbside collection to be reintroduced. ``Kerbside collection is great because it allows people a chance to get rid of their stuff without needing to hire a truck or get it to the dump, a process that can be very expensive,'' he said. Redcliffe Tigers were given $400,000 to help flood-proof their clubhouse, and were also given money to build a storage shed and a $10,000 grant for new lining. Cr Houghton said the council was still working on relocating the club in the long term and had identified a possible site that needed to be investigated. SOME have likened the antics in this campaign to a circus but now the real circus, Lennons, is in town and they are taking advantage of all the signage around by positioning their signs right next to those of candidates. Let’s hope people don’t get confused and vote for the wrong clown, sorry, candidate. STILL on the topic of signs, we’ve been told that their theft and damage has reached epic proportions this election. Mayoral candidate sitting Logan City councillor Luke Smith said he had 100 signs stolen in one night. His opponent Brett Raguse has also had a lot of signs stolen or damaged. What do you do with 100 signs of one person whom you, presumably, don’t support? Or are the signs being stolen because they really like the candidates and the signs are now decorating the wall of someone’s garage or media room? Annual valuations for 2016 have just been released for Moreton Bay Regional Council area. Redcliffe had a increase of 22.2% . This means the rates will be much higher than at present if council approves the increase. Your Community First candidates want to impose an immediate freeze on rates INCREASES for 12 months, and restrict future annual rate increases to the CPI. We want to cease special charges for regional infrastructure, rental properties and other excesses as qu...ickly as possible. RSM Shawn Goodbody at Redcliffe’s Anzac Place memorial. The 6th Engineer Support Regiment (6ESR) will march through Redcliffe on March 5. Picture: Chris Higgins. IN WHAT will be a first for the Redcliffe Peninsula, more than 100 Australian Defence Force personnel will be granted freedom to enter the city on March 5. It will be part of a Freedom of Entry ceremony which include a march along Redcliffe Pde. Redcliffe Police and Moreton Bay Regional Council will grant members of 6th Engineer Support Regiment permission to enter the city. Regimental Sergeant Major Shawn Goodbody (6ESR) said the event had taken more than 12 months to plan. Redcliffe RSL sub-branch assistant secretary Cheryl Barrett hopes hundreds of people will line the street. This was badly organised, the public did not know it was on . Very few people saw the parade other than the usual saturday shoppers . The RSL was still trying to organise a location for the army to change. I suspect it was organised in hast as election grandstanding. There are THREE teams running candidates for council- SUTHERLAND ALLIANCE / YOUR COMMONUNITY FIRST / & THE GREENS. The above are candidates for the Moreton Bay Regional Council Election, which will be held on 19th March 2016. The office of YOUR COMMUNITY FIRST is now open in the jetty arcade, between 10.00am. & 12.00 ( hours will be extended as the election nears ). Locations wanted for signs , ask your friends,etc.Donations are needed if you know anyone that can assist Booth workers are required . Call into the office for your FREE t-shirt . The underfollowing article appeared this week in the Caboolture Shire Herald / Bribie Weekly / Northlakes Times / Pine Rivers Press / Redcliffe Herald. A NEW alliance has emerged ahead of the March 2016 council elections. The Your Community First (YCF) group is calling for candidates to run in all 12 divisions. Chairman Peter Houston said it had policies, a logo, website and finances. “We hope to field one council candidate in each of the council positions. This will be what is assessed as the most capable and talented candidate in each position,” Dr Houston said. He said candidates would need funds for a “reasonable campaign”. YCF planned to campaign on water prices, and Dr Houston said candidates would not accept donations from developers. 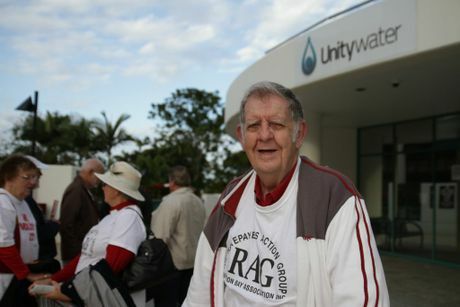 The alliance includes community groups such as Save Redcliffe, the Ratepayers Action Group and Caboolture First. Members are expected to come from Redcliffe, Caboolture, Bribie Island, and Arana Hills.